The opening pages of the Bible shows us that Adam walked with God. Our destiny is to do the same. Jesus died and rose again to restore mankind to a relationship with God. Christianity and eternal life is more than just obeying religious rules in order to get into heaven when you die. Jesus said “eternal life” is knowing Him (John 17:1-3). Christianity is about relationship with God in which we walk with Him. 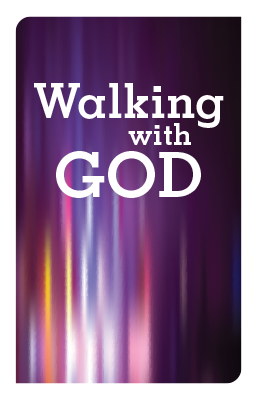 The study “Walking With God” will take us through various aspects of God’s design for our walk with Him. As we walk with God, His ways become our ways which leads to experiencing more of the fullness of His life.